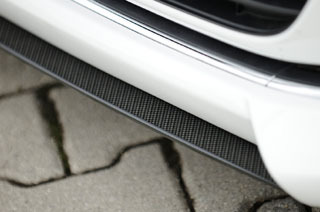 VW Golf 7 Awarded "Car of the Year 2013" - Rieger aftermarket tuning shown above. 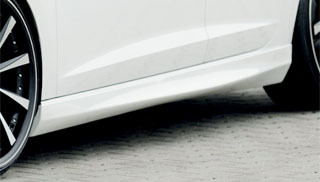 What better credentials than Car of the Year? The Golf 7 is at the top of its class in engineering, technology, and value: all combined for motorsports enthusiasts and the driving pleasures of "das Auto." If you own one of these little marvels and are showing signs of the tuner's itch (i.e. reading this page), you are in the right place and we'll be happy to help before you break out in a rash and buy something cloned in Malaysia. 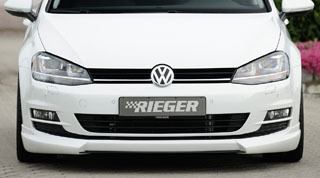 LLTeK has been importing Rieger Tuning body kits from Germany into North America since 1996. In a nutshell, this means consulting with LLTeK experts by phone or e-mail and receiving recommendations (at no charge) on your Golf 7 project. You will receive precisely what you have ordered - not a facsimile. 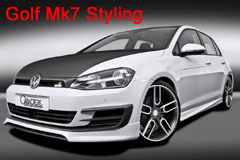 Your purchase of Rieger designed and manufactured styling for the Mk7 assures trouble-free delivery and fitment. 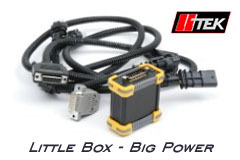 LLTeK will get it to your door via UPS or FedEx in a carefully packed custom container. Off to the races - worry free. More Horsepower and Torque - DIY in less than an hour!